NEW YORK — Drake was featured on Beyonce's surprise album — and now he's taking a page from her book. The Grammy-winning rapper released a new album called "If You're Reading This It's Too Late" early Friday morning on iTunes. It includes 17 tracks and features Lil Wayne, Travi$ Scott and PARTYNEXTDOOR. The release comes more than a year after Beyonce released her self-titled album on iTunes without announcing it. Others have dropped albums in surprise form, from alternative rapper Kid Cudi to Australian rockers Wolfmother to rap group G Unit. Drake's last album was 2013's "Nothing Was the Same," his third studio album. It sold more than 650,000 units in its debut week. 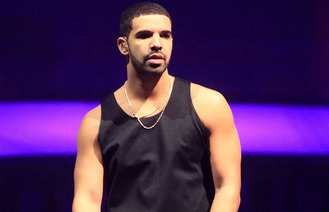 Drake's hits include "Started from the Bottom," ''Take Care" and "Best I Ever Had." Kasabian rocker Tom Meighan has hit out at One Direction, insisting they were lucky to find fame and are heading for an acrimonious break-up. Marilyn Manson fears he was a "little negligent on his bills" after selling his soul to the devil. Blur are to release their first studio album in 12 years. Sia has a string of "ludicrous" requests that must be fulfilled before she goes on tour. Foo Fighters announce they will play at Glastonbury 2015. A member of Nicki Minaj's tour team has been killed and another injured after a stabbing in Philadelphia. Legendary singer-songwriter Lesley Gore, who is behind some of the biggest teenage anthems ever, passed away from lung cancer in New York City earlier today. She was 68. Madonna thinks 'Fifty Shades of Grey' was written for virgins. The 56-year-old singer has no plans to watch the new big screen adaptation. Ed Sheeran’s hit Thinking Out Loud has been named The World’s Greatest Love Song beating Whitney Houston’s I Will Always Love You.